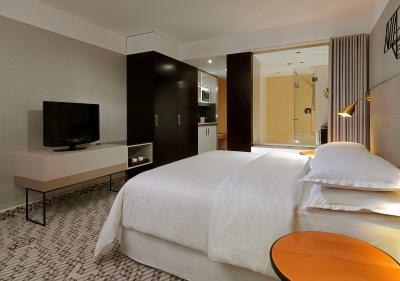 Lock in a great price for Sheraton München Arabellapark Hotel – rated 8 by recent guests! Good location between city center and trade fair. Excellent view of Munich from the 23rd floor. I liked the locations, its in perfect place. the staffs are friendly. Great rooms, great view from 21st floor! 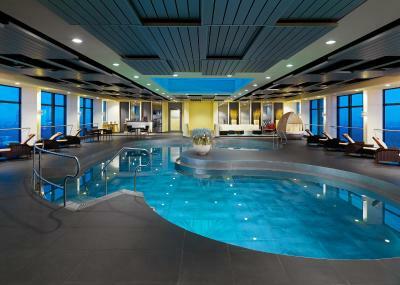 the pool on 22nd floor is great though a bit cold and beware of scorching showers!! no staff to get water coffee drinks you have to walk down 1 floor to spa reception. sauna and steam sauna was nice. Excellent breakfast! Friendly staff, great location (near subway, park, shops and restaurants), and very clean hotel overall. Dog friendly too. In general, our stay at the hotel Sheraton in Munich was nice. It is easily accessible by metro from central train station. You can find restaurants and shops for groceries nearby. The English garten is only 20 minutes walking distance from the hotel with beatiful scenary and riverside. The room was big with comfortable bed and facillities for ironing and making tee. The sauna and pool were also neat and cosy. Overall, we enjoyed our stay. neighborhood is excellent. HOTEL is clean and spacious. you have to pay for everything ( water , internet). high building and open balcony. not good for children. breakfast limited. far from center. far from grocery. nousy sound in ac. expensive price. staff very helpful: front desk, concierge, restaurant. Breakfast was GREAT. Bed comfy. Appreciate the makeup mirror in bathroom which seems like a small thing but not all Marriots have them and should. 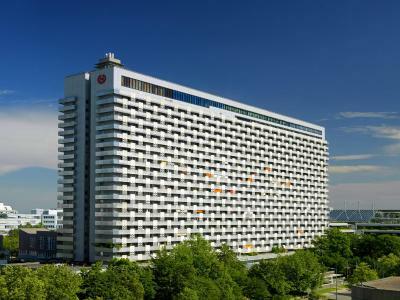 Sheraton München Arabellapark Hotel This rating is a reflection of how the property compares to the industry standard when it comes to price, facilities and services available. It's based on a self-evaluation by the property. Use this rating to help choose your stay! This hotel in Munich’s Bogenhausen district features 2 restaurants with a beer garden and bar, as well as a 22nd-floor spa with a pool, gym and sauna area. 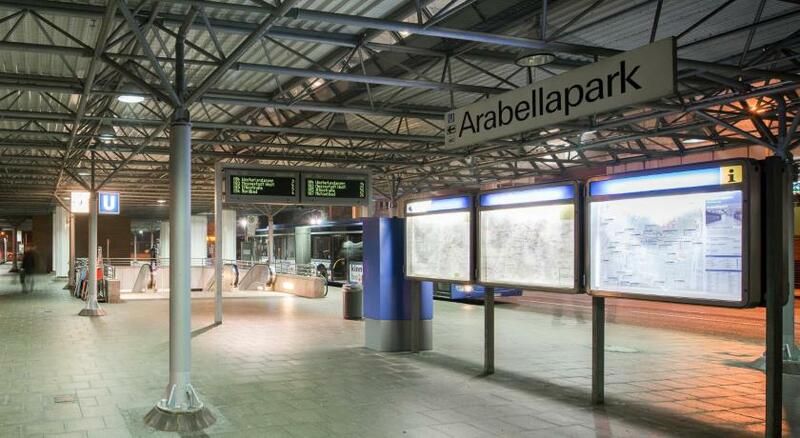 It is just a quarter mile from Arabellapark metro station and 10 minutes from central Munich. The elegant, air-conditioned rooms at the Sheraton München Arabellapark Hotel feature a 32-inch flat-screen TV and tea/coffee facilities. All rooms include cozy armchairs and large windows, and some have a balcony. The Club Lounge is on the 22nd floor. 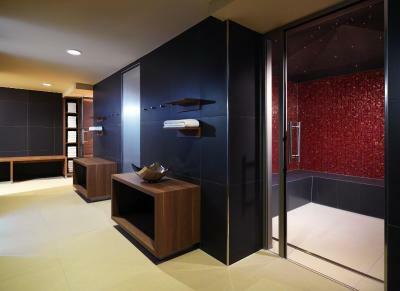 Spa facilities at the Sheraton München Arabellapark include a heated pool, a Finnish sauna and a steam room. Guests can stay in shape in the modern fitness room. International food is served in the SixtySix Grill and Dine and Audrey’s Food & Flavour. Cocktails and snacks are available in the Arabella Bar, and the Paulaner beer garden is open in the summer. The Link@Sheraton lounge in the modern lobby provides free use of computers and a printer. Wired internet and Wi-Fi are also free here. Drivers are just 4 minutes from the Mittlerer Ring and the A94 highway. There are direct S-Bahn trains to Munich Main Station, and from there to Munich Airport. Bogenhausen is a great choice for travelers interested in city trips, shopping and city walks. 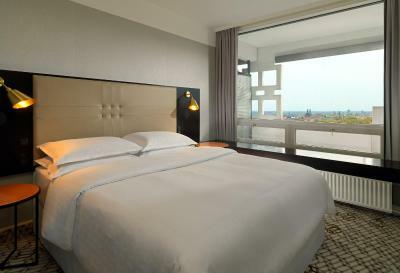 When would you like to stay at Sheraton München Arabellapark Hotel? House Rules Sheraton München Arabellapark Hotel takes special requests – add in the next step! Sheraton München Arabellapark Hotel accepts these cards and reserves the right to temporarily hold an amount prior to arrival. Even during the BAUMA event, the hotel room rate is not justified. There was no hotel or city information in the room. The bathroom sink was clogged which is unacceptable for a hotel of this class. rooms are not cleaned very well as expected. room service is not that expected. charging money for night services. Breakfast was magnificent with variety for any kind of diet. The staff was all very nice. And the room is quite comfortable. one day no hot water. no apologies or compensation offered. room was much too hot. staff member fiddled with a/c which was of course off in winter. Found heater valve myself later under couch, but despite turning it all down it was still way too warm to sleep comfortably. While I'm very happy to not have my towels and linen changed every day, employees did not do ANY room service. So trash kept piling up, no extra coffee or tea, and I would've appreciated the bed being made. The WiFi didn’t work anywhere in the Hotel. I had to use my own roaming data. There was strong wind that somehow caused the ventilation to whistle, this kept me awake for many hours. I’m pretty sure they can do something about it. The Location was good, few minutes away from the tube and bus station. 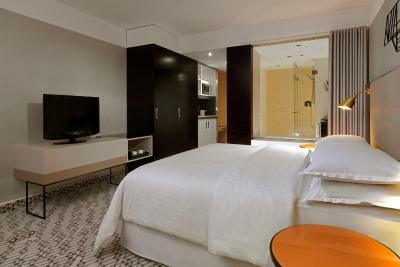 Spacious clean room, comfy beds. Poor parking facilities (out on the street, or in nearby public car parks). Building was built in 1969 (according to the elevator name plate) and shows it's age (eg. decrepit balcony, window frames, etc). Renovation (possibly from the 1990s) needs redoing (broken shower door in my room). They charge extra for WiFi which I consider outrageous for a hotel in this price range - I thought that went out 10 years ago for most hotels!!! I was half expecting to be charged extra for water use in the shower as well.... Breakfast was OK, but not really good enough for this class of hotel. Hot food was only luke warm for both breakfasts I had. Toilets in public areas were not clean. Most of all, I liked the staff, there seemed to be genuinely friendly and were most helpful at all times. The breakfast was excellent and lunch in the restaurant was very tasty also.